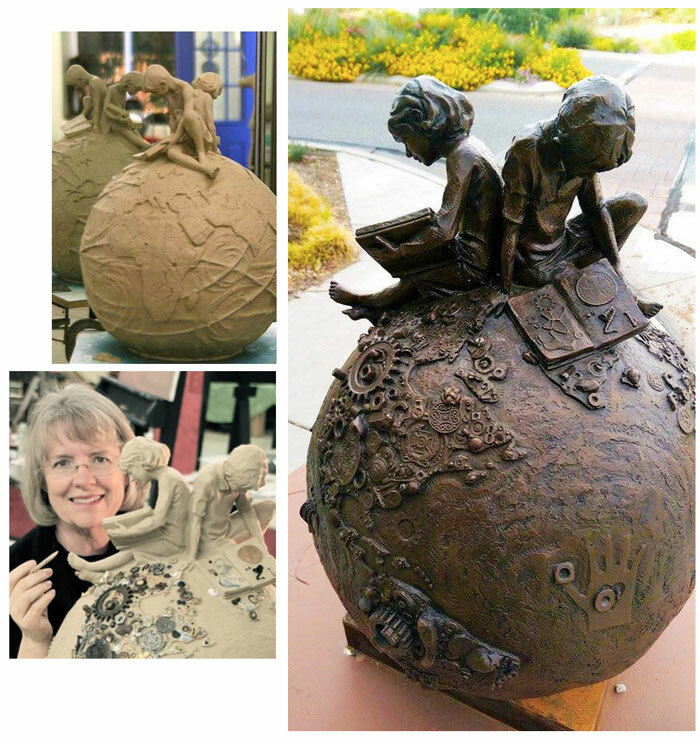 Annette Everett is an accomplished sculptor and painter. Her primary work is sculpture. She studied art at BYU, the University of Utah, and the Art Academy of Cincinnati. She also paints in pastel and oil, creating traditional and representational landscapes, portraits, and still life. She lives in St. George, Utah. Describe yourself as an artist. I work in clay. 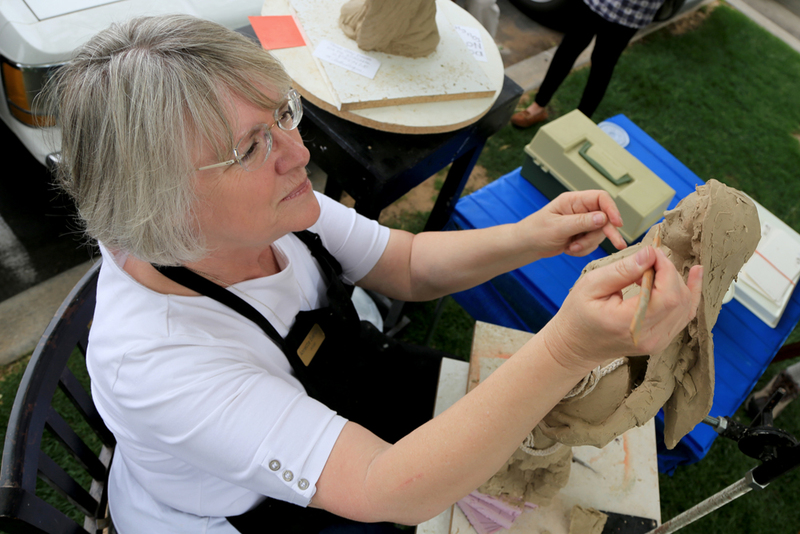 With my hands in the clay, I feel a nourishing connection to the earth and to human understanding. 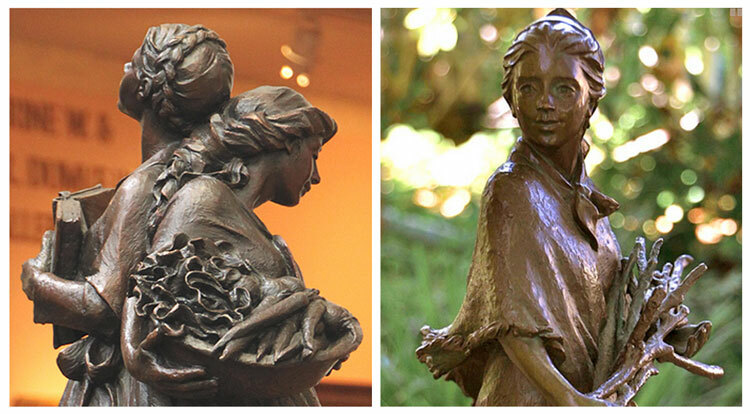 My sculpture is considered traditional and representational, often symbolic. Common experiences of daily life interest me; I find beauty in simplicity; I find connection in the struggle to be better. I want to show that something that may be considered mundane is actually beautiful, essential. I want to show the outward image of inward experiences, expressed in human form. Like every artist, I strive to touch the emotions we have in common, inviting compassion and understanding. The Church had a rich history of sculpture, then it didn’t for a long time, and now it seems to be on the rise again. How do you feel about art in the Church these days? 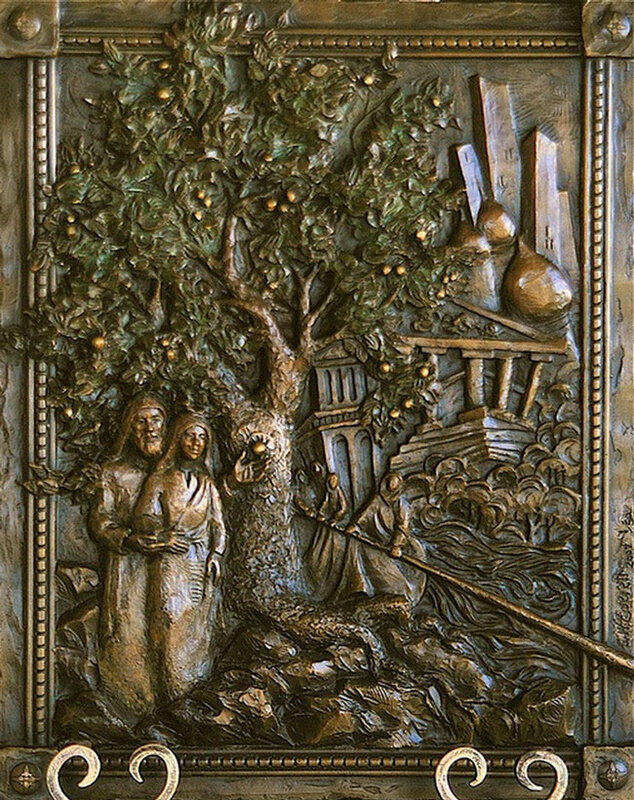 Early in LDS Church history, artists were called on missions to Europe to learn; they then came home to express spiritual truths in symbolic ways for the Saints. Art is becoming recognized again as a way to explore spiritual concepts, and to touch hearts through the Spirit. I am excited to see a full range of artistic expression growing in the Church, from abstract and nonrepresentational through highly realistic. I cheer for the growing demand and supply of really good art within the Church. You once said, “Art begins with inspiration, from inspiration to concept, to design, to creation, to presentation and then to home.” Explain. Art begins with INSPIRATION. What is the spark that catches our interest and how can I illustrate that spark? For me, I respond visually. For a writer, their response will be in words, for a musician – in music. Find your passion, and find a way to express it. This passion is the inspiration that will become a bridge of understanding. The greatness of feeling from the artist is the foundation for greatness in art. From that initial desire to express a spark of inspiration, we work out a CONCEPT that will show our idea. Using all the tools we have gathered in a lifetime – intuition, education, experience, talent and hard work, we DESIGN the concept we want to communicate. We now search for a way to show it in a concrete, visual way. This refers to using our skills and materials to organize various elements in order to communicate. And now, the CREATION. I put my hands into the clay to execute the inspiration, concept and design. I move the clay around until it pleases me. This is the work of art work. All the years of study, observation, and practice is concentrated into this time on this piece of art. Sometimes it works, sometimes it sits on a shelf until later. In order to express yourself artistically, and for that bridge to be built from your idea to their understanding, you need others to see your artwork. If you want your art to be seen, it must be PRESENTED in a way that will reach your audience. Some artists resist the business of art – art shows, competitions, galleries, prints and publications. But artists have families to feed, bills to pay, and materials to buy so their art can continue, so sales become an important consideration. How an artist balances creative vision and the real-world need to sell the art work has been the core of many a discussion. A sale is an effective way to judge the excellence or the acceptance of your work. Someone felt your emotion and matched it, and now, they want to spend money to take it home with them! This is a beautiful thing when it comes together. This changes lives. HOME is letting your inspiration and concept, your art piece, walk away from you and assume a life of its own. Visual art can be more than decoration. Art contributes to the quality of life. Great art has power to change, even to save – a life. Great art communicates to you not only its excellence, but it brings to mind and communicates to you, your memories, associations, emotions, and your passion, too. What are you working on next? I am always in a debate about what to take all the way to bronze because it is an expensive process. I have many finished clay pieces that are “perking” on the shelf. I am actively sculpting a large bas relief about the Plan of Happiness. From the Savior, to Adam and Eve who opened the way for earthly mortality, to Priesthood functions that bring us full circle into the presence of the Savior again, I may be working on this one a while. Happily.